West Didsbury & Chorlton Women’s Team welcome Warrington Wolverines in their first ever competitive fixture this Sunday afternoon, 2pm KO. Another road to Wembley begins at Brookburn Road as the club enters the SSE FA Women’s Cup for the first time ever. 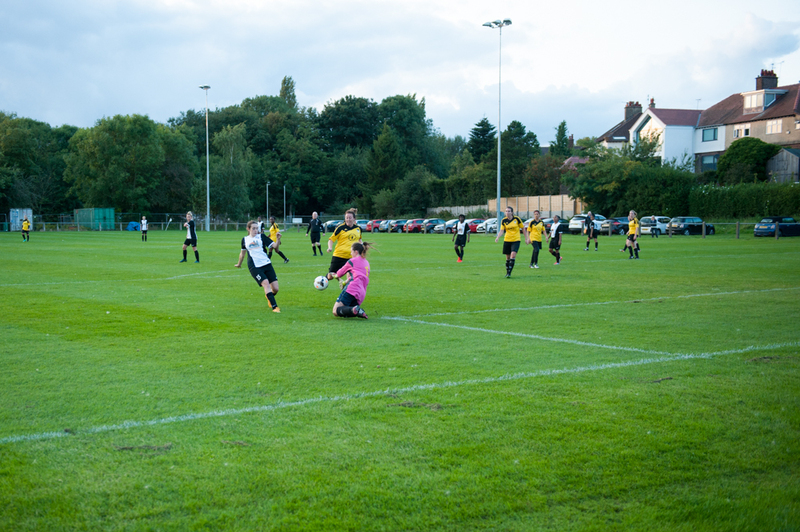 West’s pre-season ended with a comprehensive 5-1 win over GMWFL side Didsbury on Tuesday evening thanks to goals from Leigh McFadyen, Elizabeth Livesey (2), Sophie Bracegirdle and Chaneece Reeves. The win brought their pre-season record to six wins and a draw from their nine matches scoring an incredible 25 goals in the process. West battled back from a 10-0 defeat to NWWRFL Premier Division favourites Burnley to win four of their last five games with three of those wins coming against fellow NWWRFL opposition; the highlight of which was a derby win against Manchester Stingers. Those four wins came scoring three each against Sir Tom Finney and Bury, four against Manchester Stingers and five against Didsbury. Those 25 goals have produced 10 different goalscorers, and in spite of having played in both defence and midfield throughout pre-season, Elizabeth Livesey top scored through pre-season with an impressive six goals with braces against Wythenshawe Amateurs and Didsbury as well as goals against Bury and Manchester Stingers. 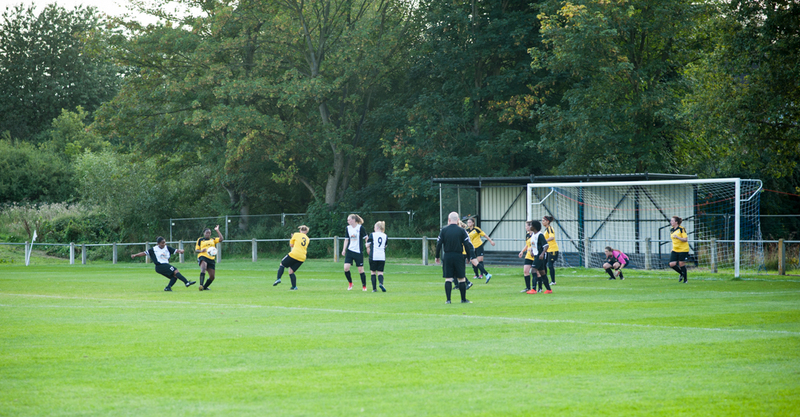 Livesey was just head of Chanceece Reeves and Leigh McFadyden who both chipped in with four each. Sunday will not only represent the chance for West to record their first ever women’s game but for someone to enter the record books as the first ever goalscorer for West’s Women’s team. 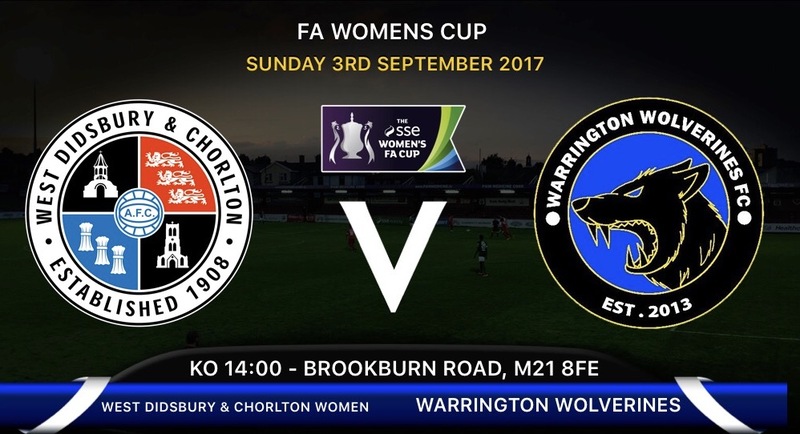 Warrington Wolverines have history at Brookburn Road having beaten Paul Caddick’s Chorltonians on the same ground last September wining 2-0 in the second qualifying round with Wendy Booth recognised as the first ever goalscorer of a FA Women’s Cup goal on the ground. They thrashed Lincoln Moorlands Railway in the third qualifying round before bowing out to Women’s Premier League side Liverpool Marshall Fed’s in the Fourth Qualifier. Their run represented a strong return for the Wolverines first ever entry into the competition. Warrington finished third in the NWWRFL Division One South last season, 11 points behind winners Merseyrail Bootle and 30 points ahead of Chorltonians who finished in 9th. That was their second consecutive third placed finished having been promoted from the Cheshire Women’s League in 2015 as invincible champions dropping just two points all season. West Manager Paul Caddick has history for cup heroics of his own when Chorltonian’s defeated Curzon Ashton in the first qualifier 2-1 away after extra time back in 2015. The defeat earned his side headlines throughout the women’s football community before they exited at home to Blackburn Community, a side two divisions above Chorlts. Having kept the bulk of his squad from Chorltonians, Caddick has acted swiftly this summer to add fresh blood into his new look team. The two most recent additions to which are midfielder Chaneece Reeves who has joined from Chorley and forward Hanifa Douglas who joins from Stockport County having spent much of the pre-season at FC United of Manchester. With the first team away on Friday night and not at home again until the 16th September this is a terrific opportunity to get a West fix whilst witnessing a historic moment in the history of the club. Kick-off is 2pm, admission for Sunday’s tie is FREE, as always the bar will be open and everyone is invited.